A female member of a notorious cult group arrested by the police in Lagos has made a startling revelation on how she used to kill members of rival cult groups and any other person for a fee of ₦10,000. The 20-year old Mariam Abiola told reporters at a parade in Lagos on Monday, how she killed four persons wearing Hijab. 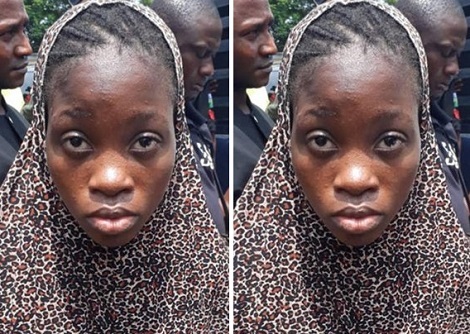 While parading the suspect along with other members of her gang, the Lagos State police boss, Imohimi Edgal said the suspects belonged to the Eiye confraternity.